Blue Cheer was an American psychedelic blues-rock band that initially performed and recorded in the late 1960s and early 1970s and was sporadically active until 2009. 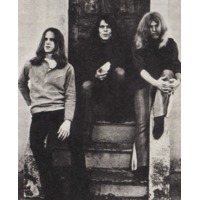 Based in San Francisco, Blue Cheer played in a psychedelic blues-rock style, and is also credited as being pioneers of heavy metal (their cover of "Summertime Blues" is sometimes cited as the first in the genre), punk rock,stoner rock,doom metal,experimental rock, and grunge. According to Tim Hills in his book, The Many Lives of the Crystal Ballroom, "Blue Cheer was the epitome of San Francisco psychedelia." The band is rumored to have been named after a street brand of LSD and promoted by renowned LSD chemist and former Grateful Dead patron, Owsley Stanley. "Jim Morrison of The Doors called the group, "The single most powerful band I've ever seen."